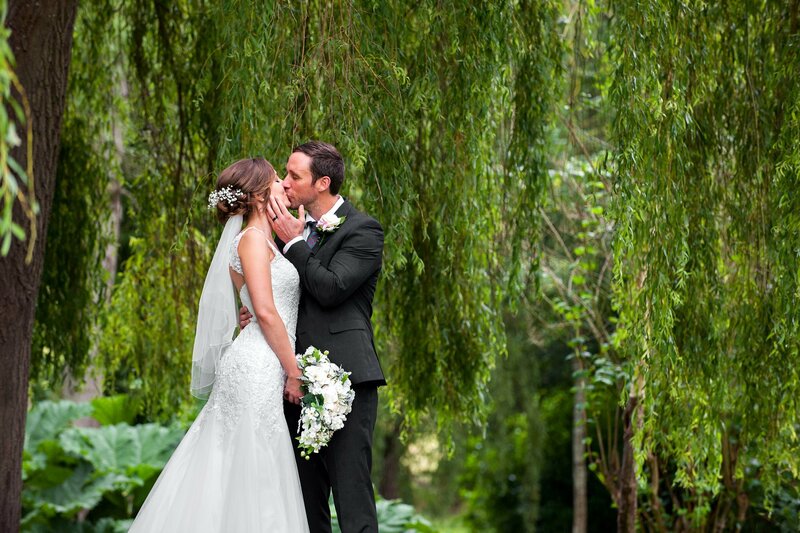 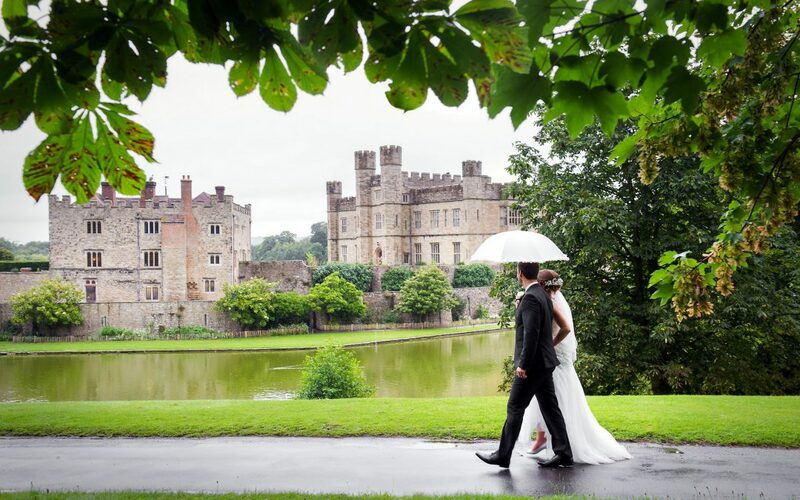 Undertaking wedding photography at Leeds Castle is a great honour. 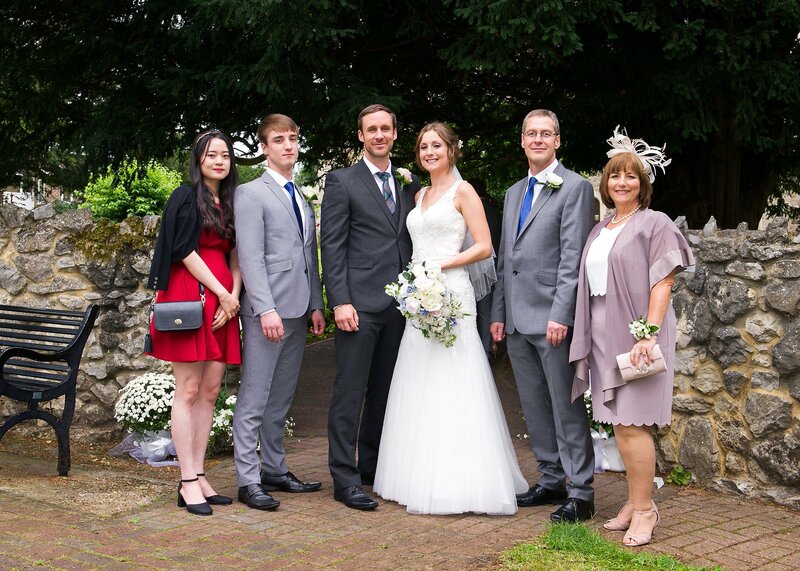 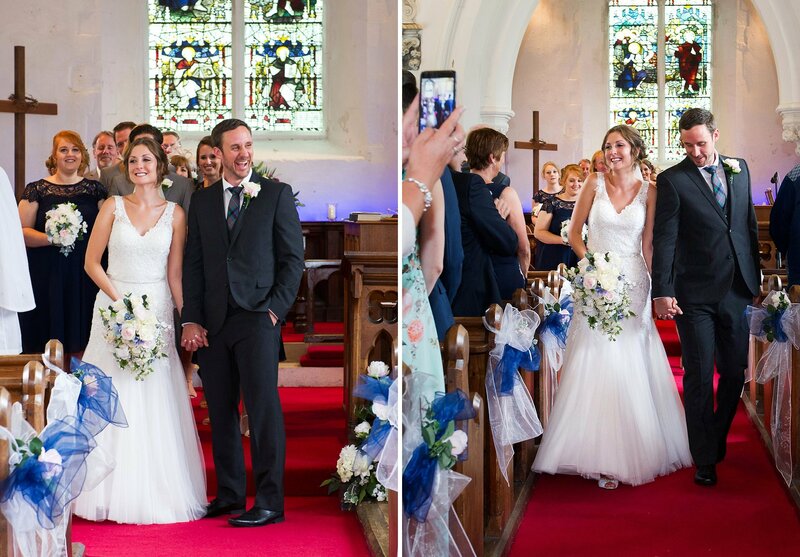 Sarah and Brady were married in their local Register Office earlier in the week and then had their marriage blessed in St Peter & Vincula, Ditton. 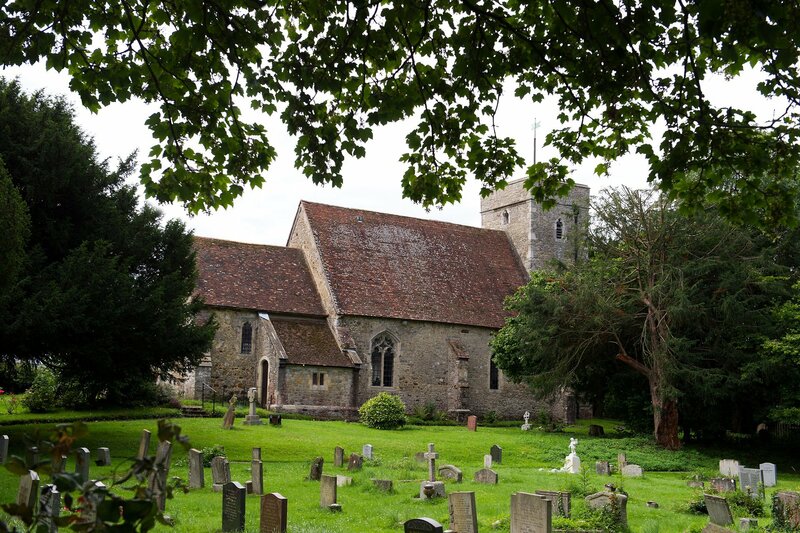 St Peter’s Church is a lovely old parish church on a slight incline, surrounded by trees. 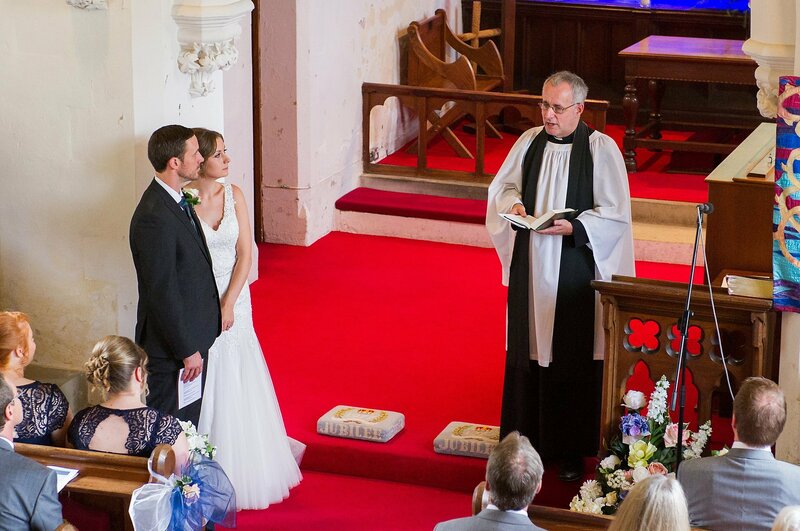 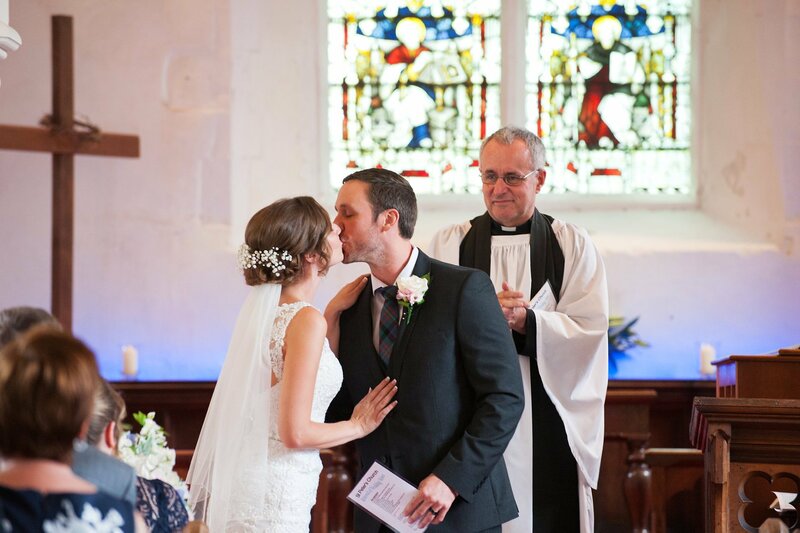 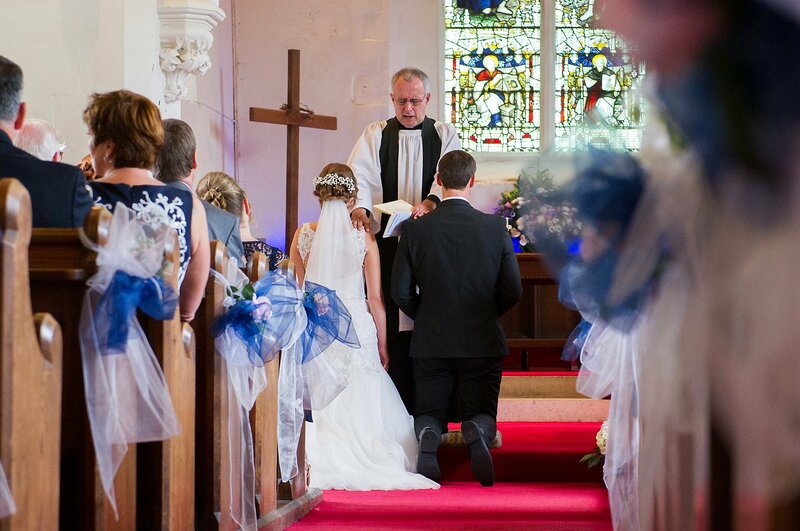 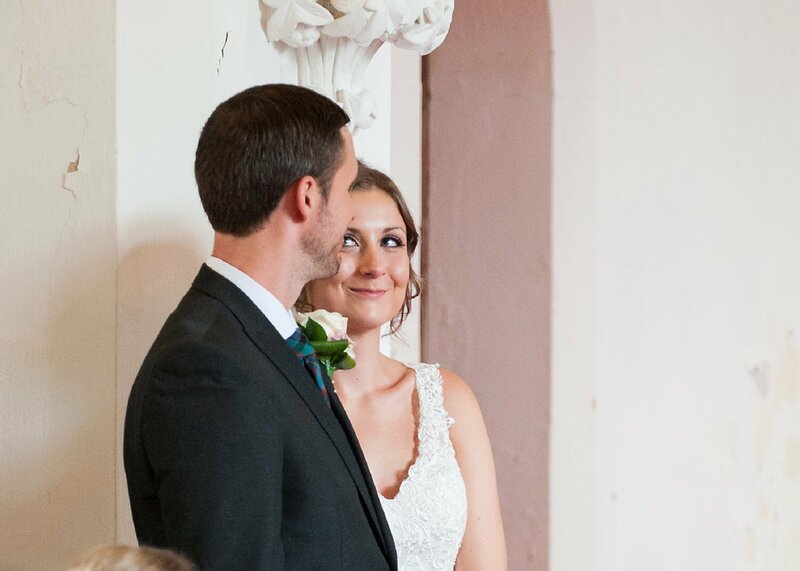 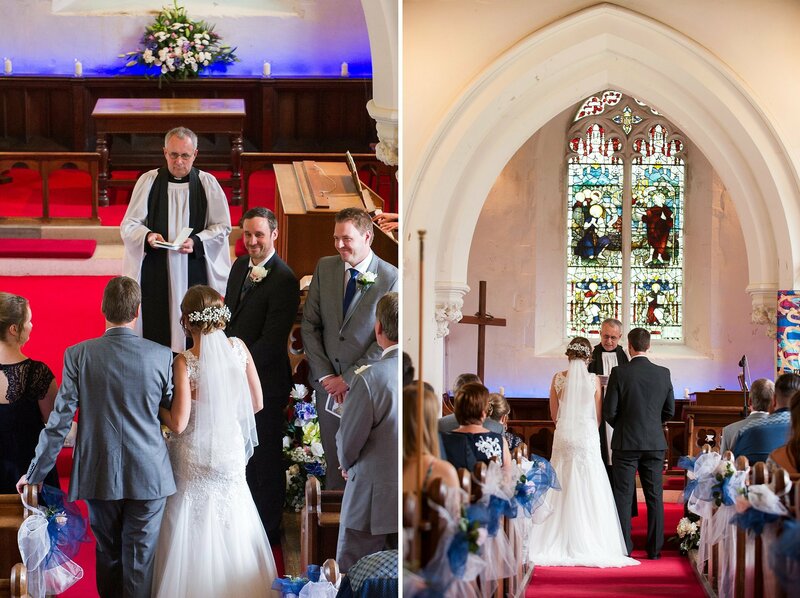 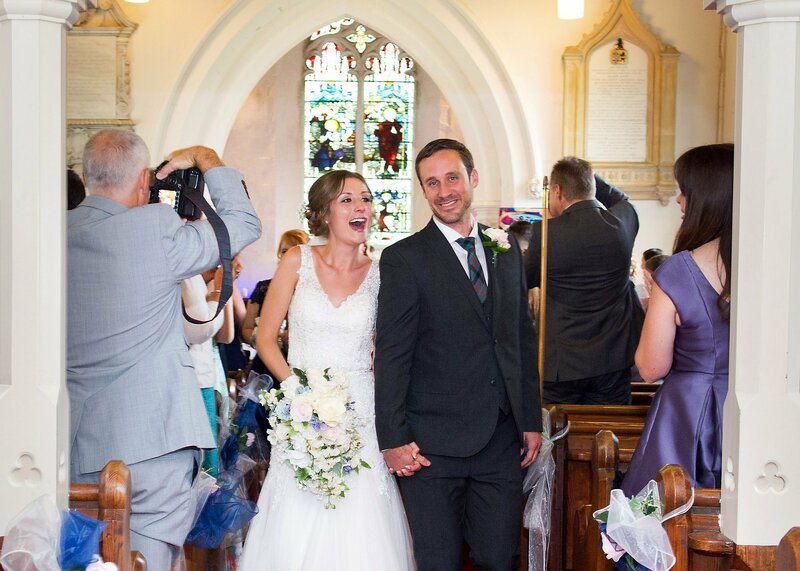 It is a single aisle church and vicar, Ross Terranova, asked me to stand at the back of the church otherwise it would be incredibly distracting for the couple and their guests. 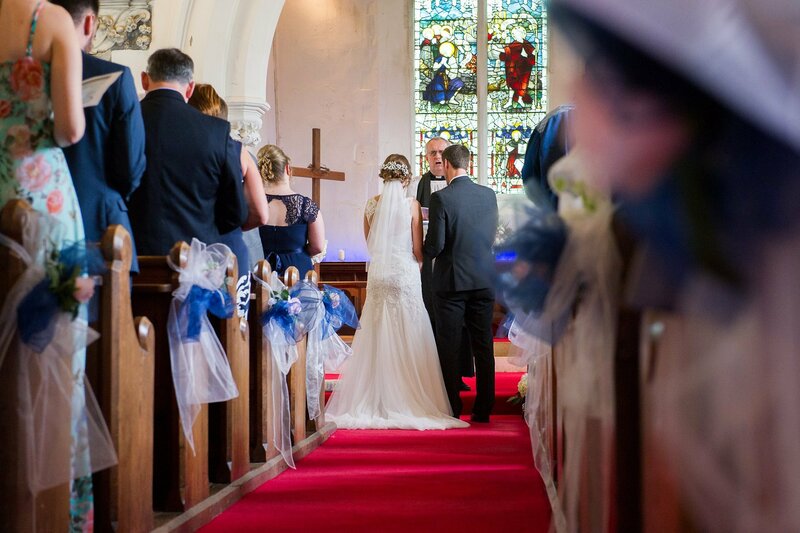 Luckily there is a gallery from which to take photographs, and downstairs the view up the aisle was very pretty. 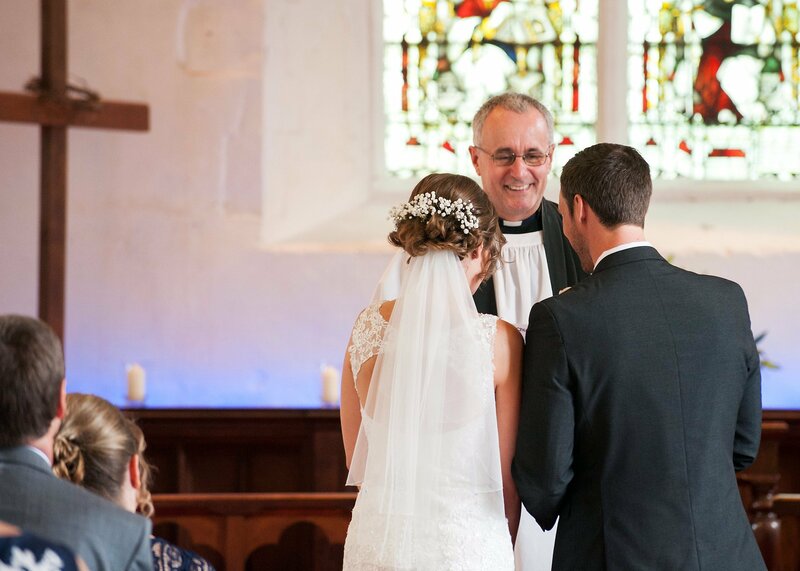 The churchwarden (and bell ringer) was incredibly helpful and even found my glasses which I retrieved that evening. 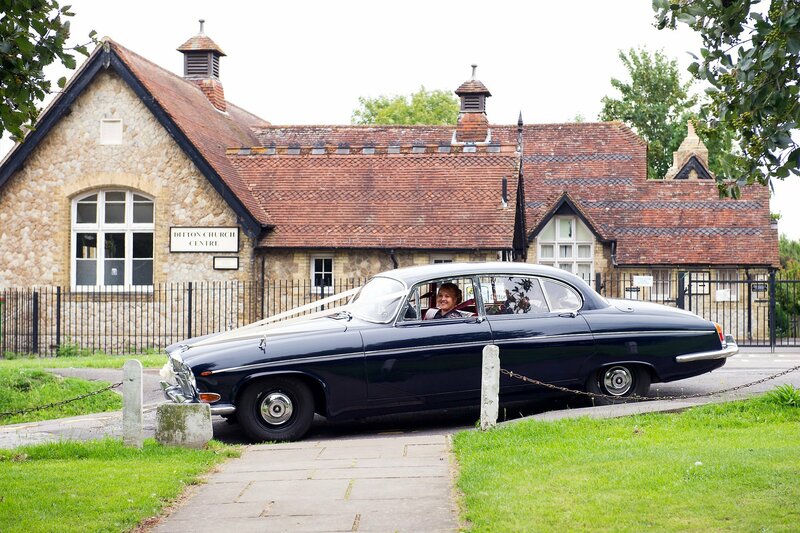 Thank you to all at St Peter’s! 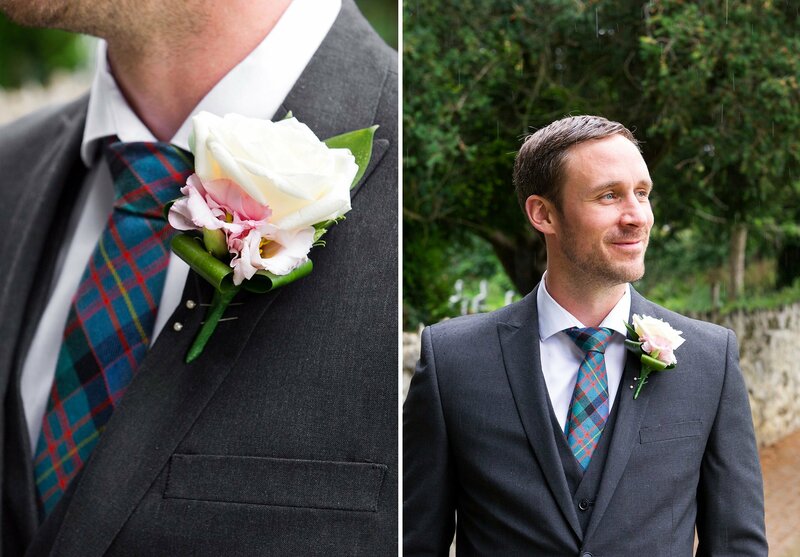 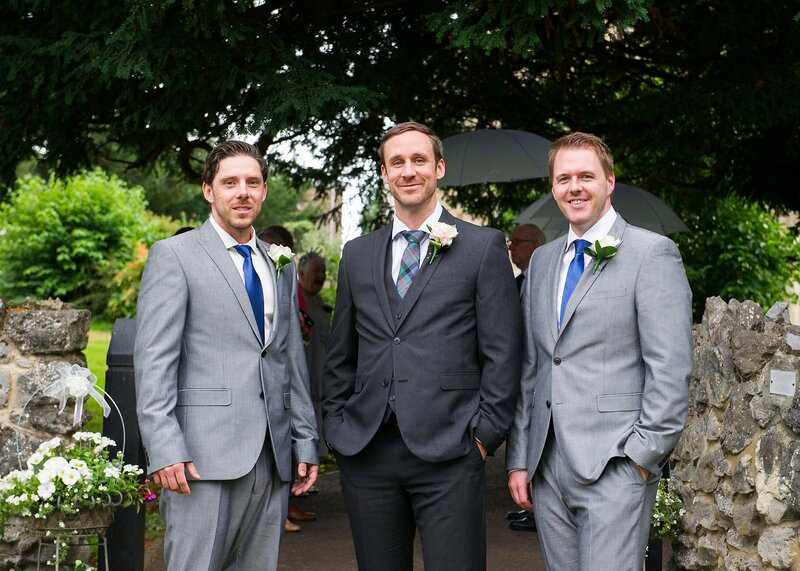 Brady and his groomsmen – Brady is Candian hence the ‘groomsmen’ title – all wore grey, tartan and blue with rose buttonholes. 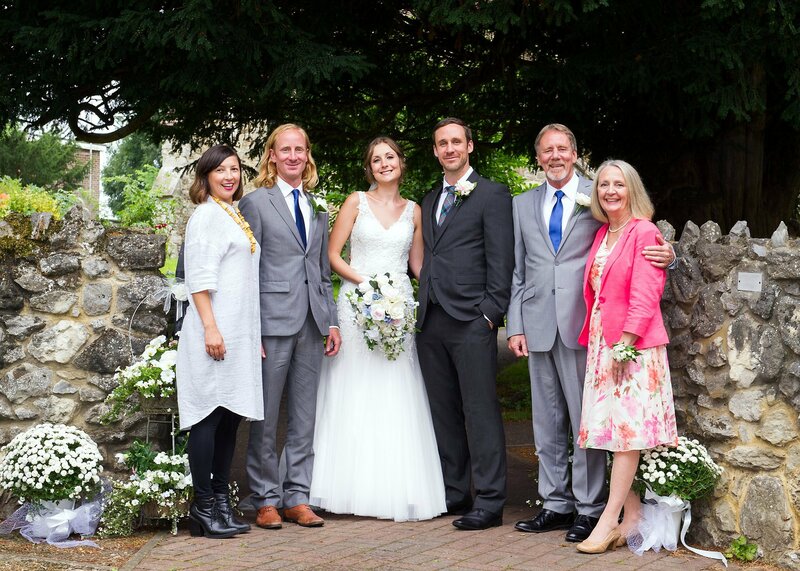 There was a pretty impressive Canadian contingent to the day with the other guests mainly from around the Kent region. 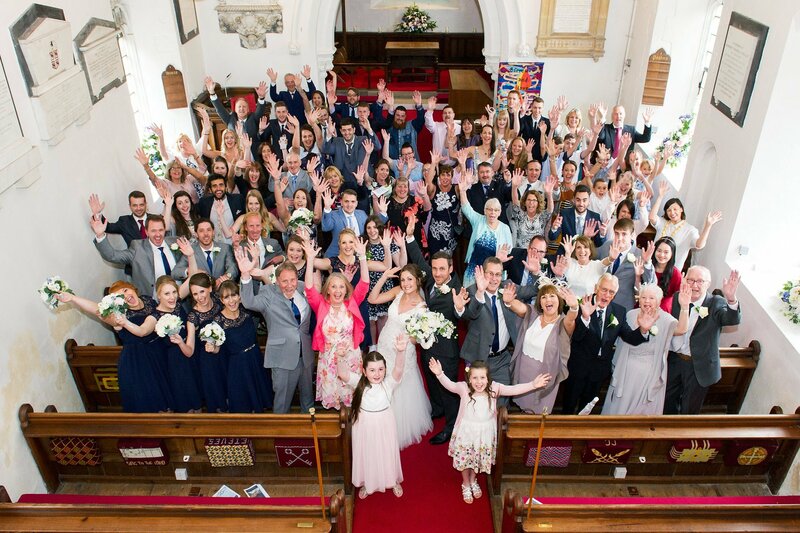 In total there were 80 guests (and four generations) which suited the Church very well. 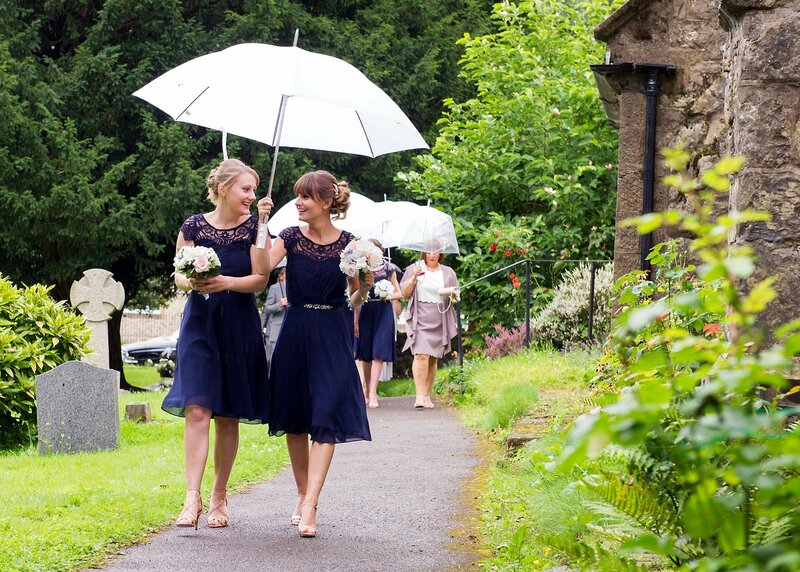 Sarah and her bridesmaids arrived in rain and sadly we had rain for most of the day. 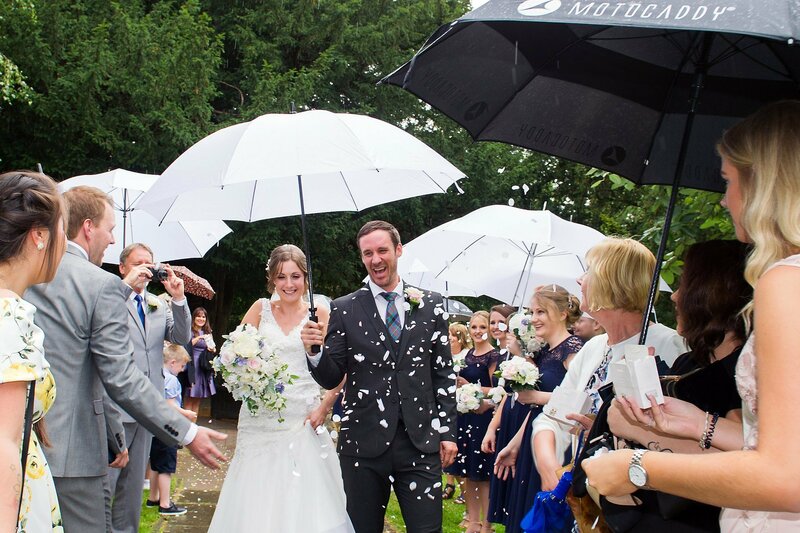 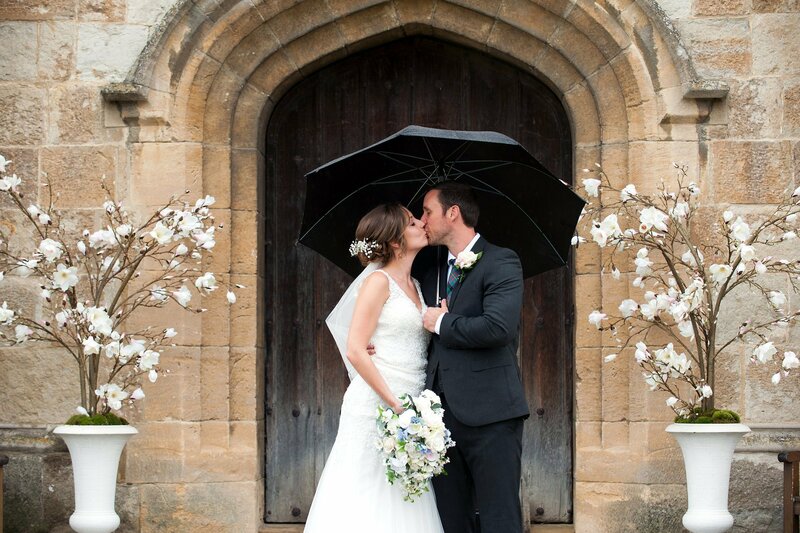 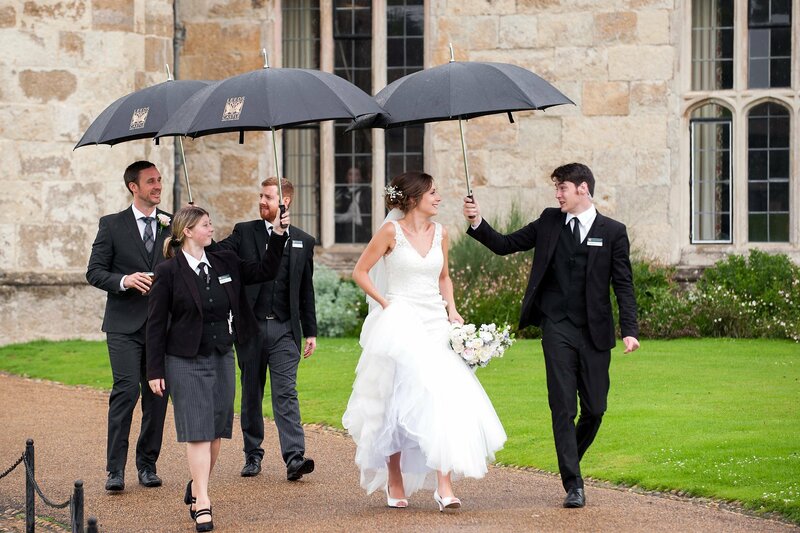 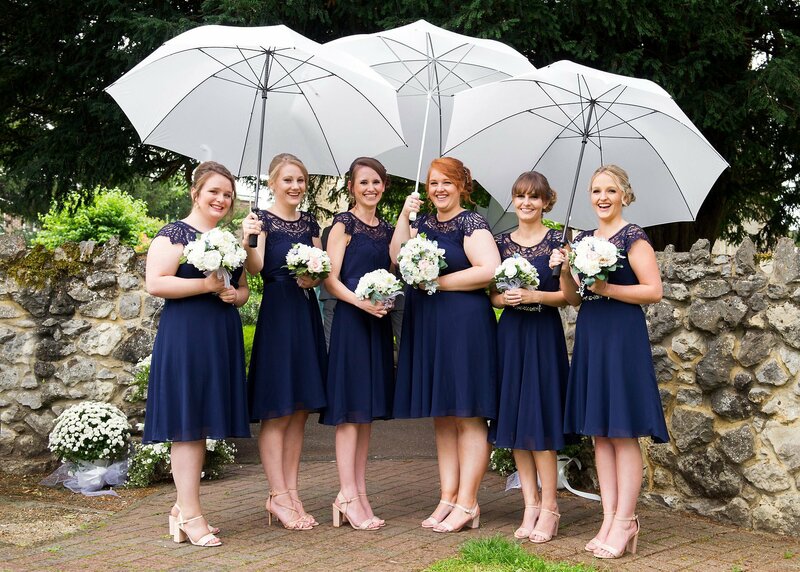 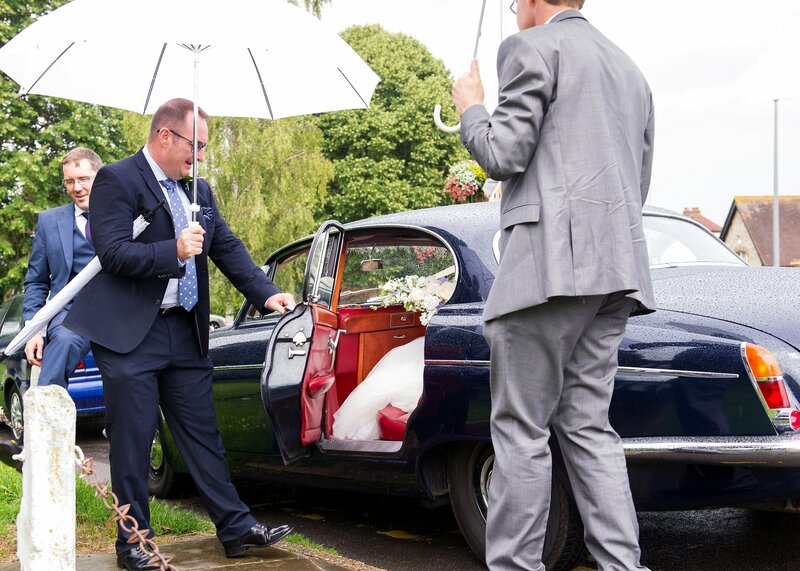 The vast array of umbrellas worked a treat – umbrellas in photos always look fantastic. 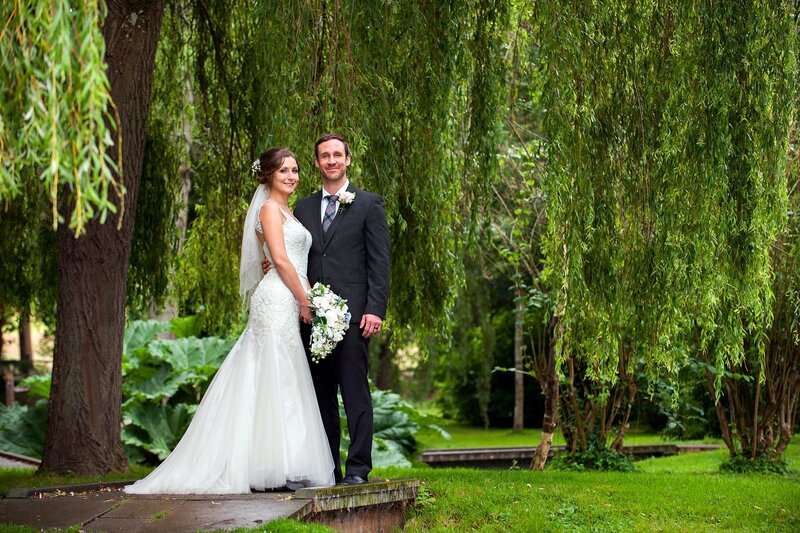 Sarah’s dress, short veil, and the charming gypsophila in her hair looked so pretty in the castle grounds. 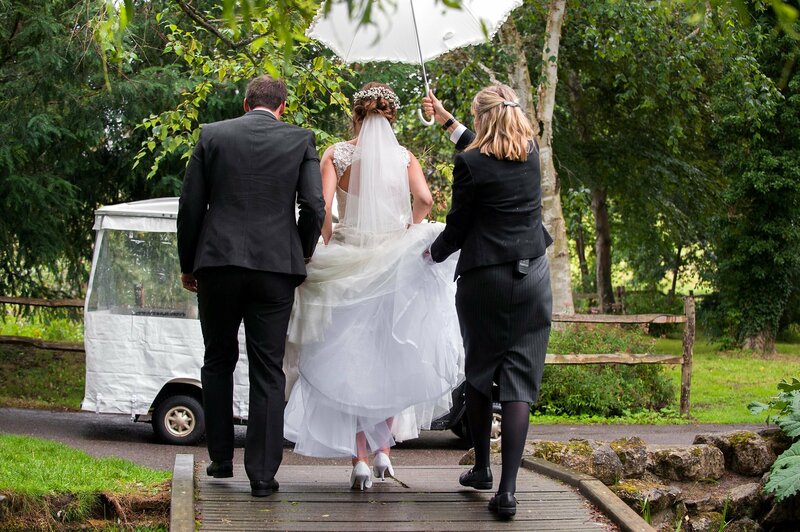 She was a total trouper in spite of the rain and she and Brady did a wonderful job with the photographs. 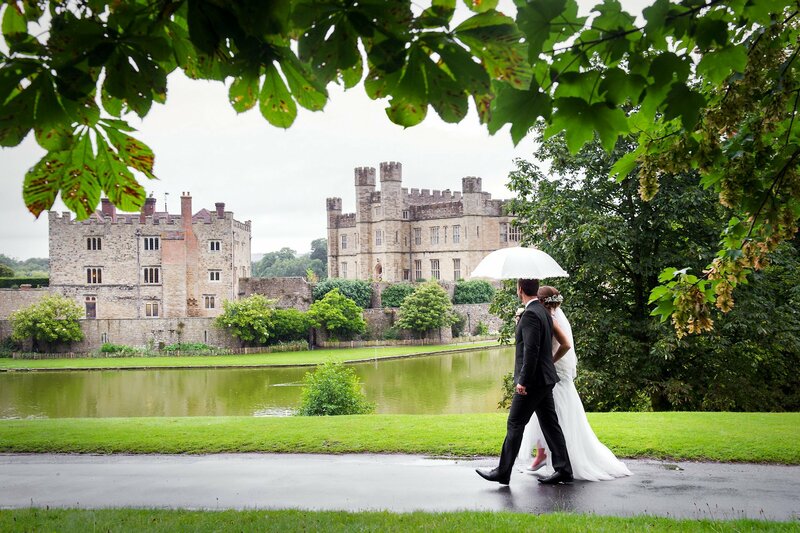 Leeds Castle has been described as the loveliest castle in the World and I have to say that it is oddly just as lovely in the rain. 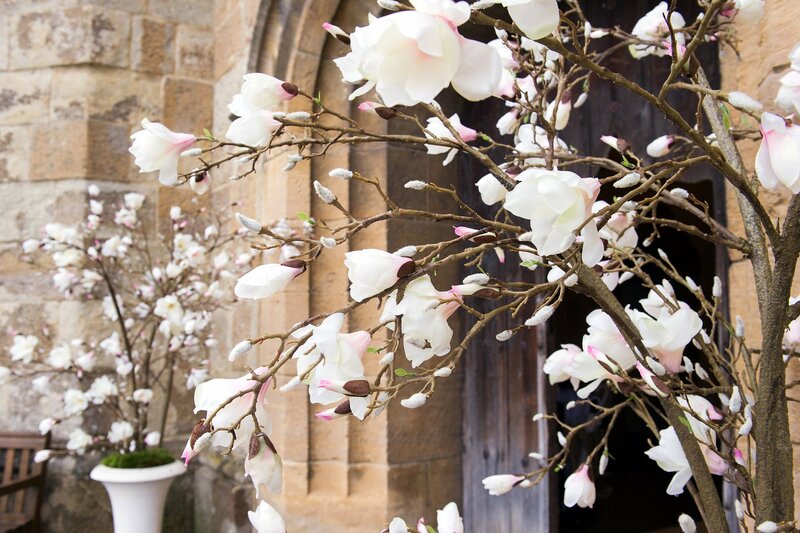 It actually adds to the romance of the place. 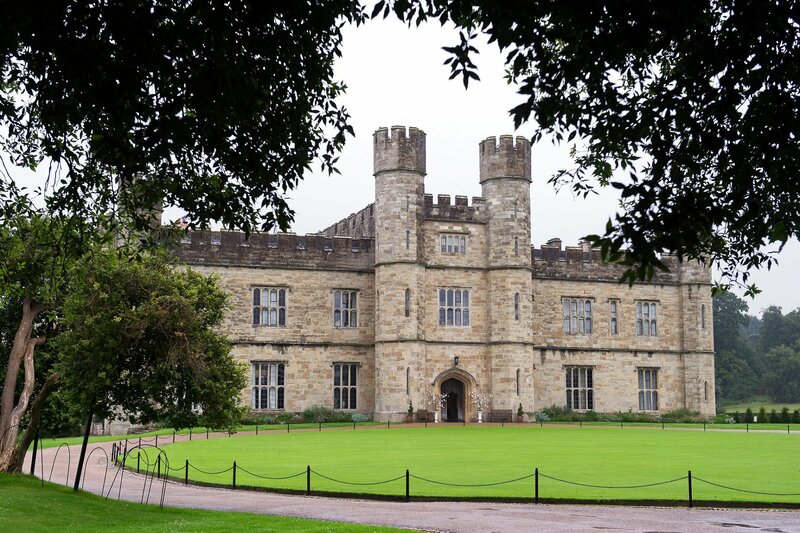 It might be a large Castle but it has a very intimate feel to it. 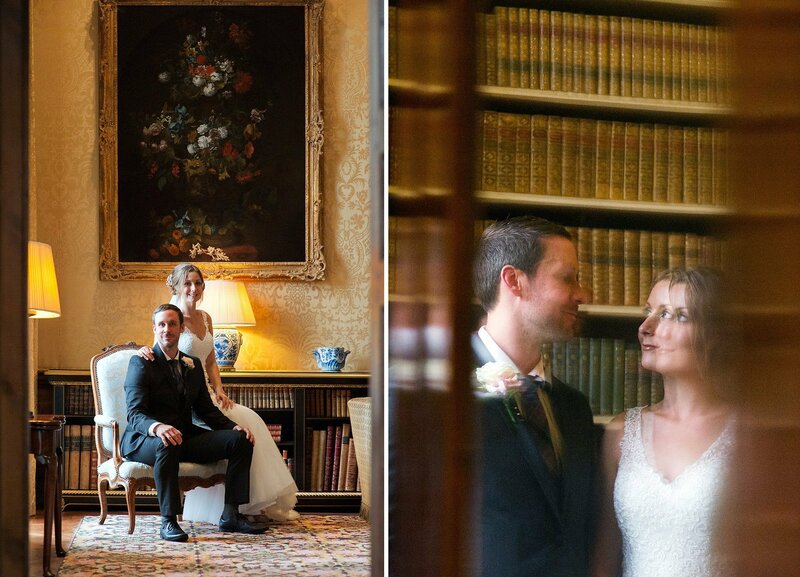 Once the day visitors leave all of the ropes are removed and guests are free to sit where they like and enjoy the historic drawing rooms. 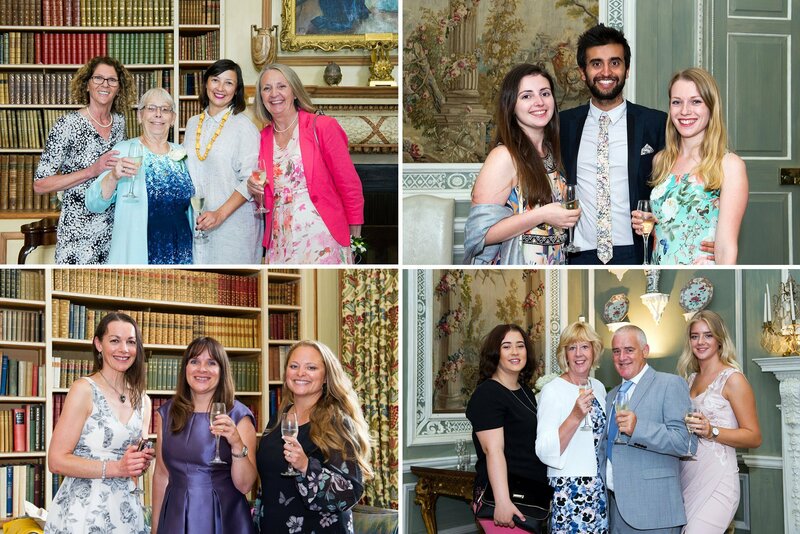 The champagne reception was held in the Library and Ceremony Room (or ‘plate room’ as I know it). 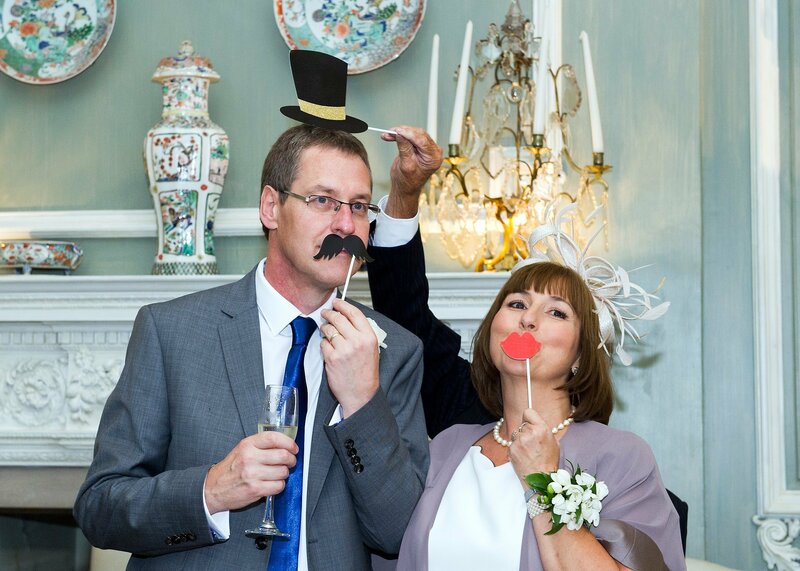 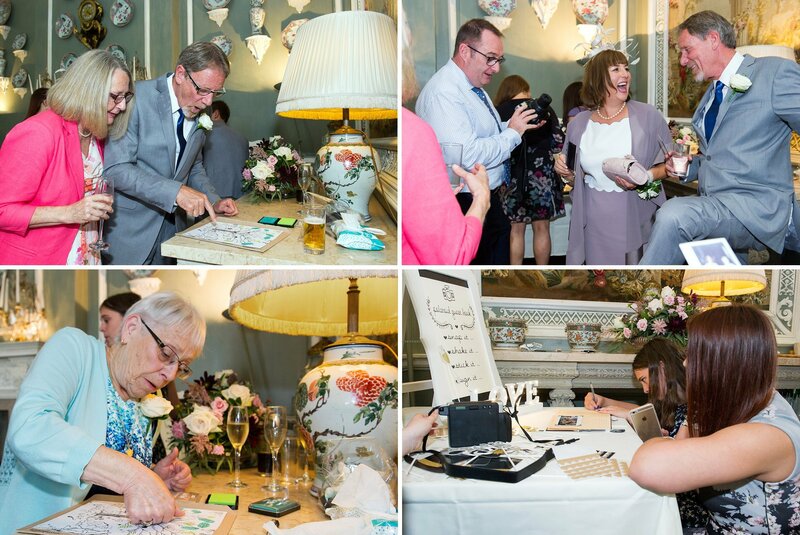 The guests had great fun catching up and adding to the photo booth guest book and family tree. 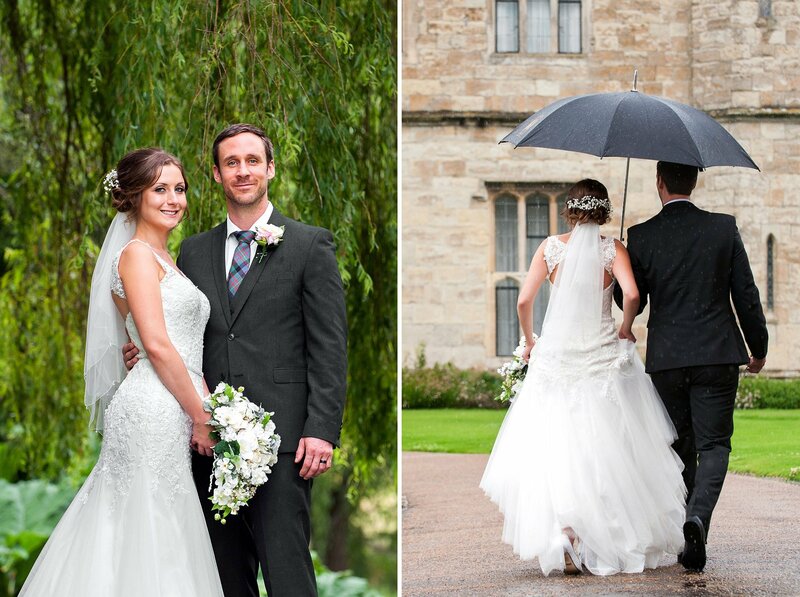 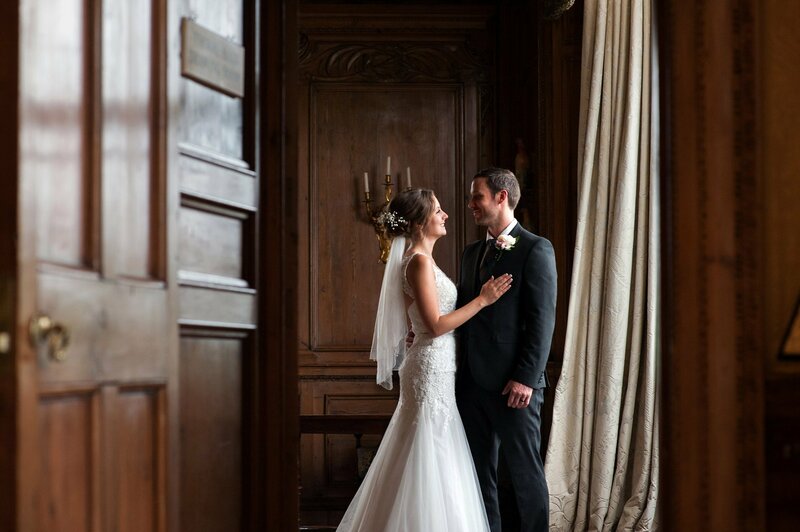 Since the outside shots were cut short by the rain I did a few more of the couple inside the Thorpe Hall and ‘yellow’ drawing rooms as well as the Library. 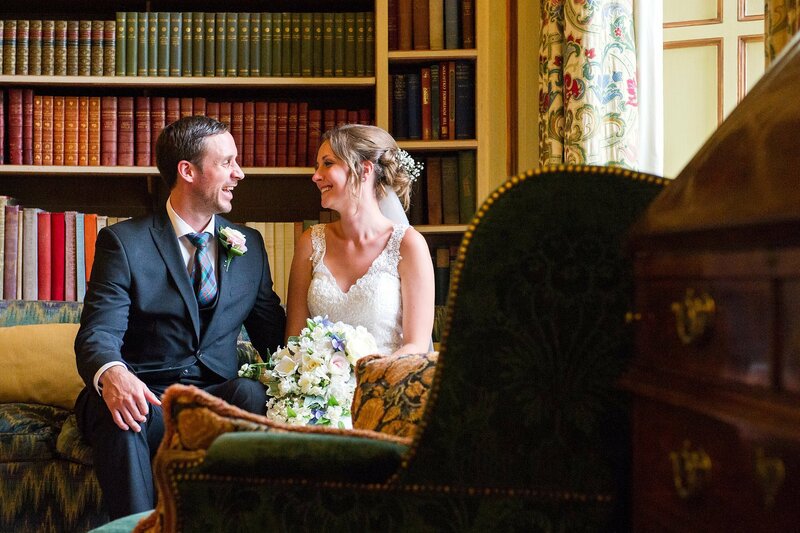 Brady and Sarah are both teachers so the Library was essential. 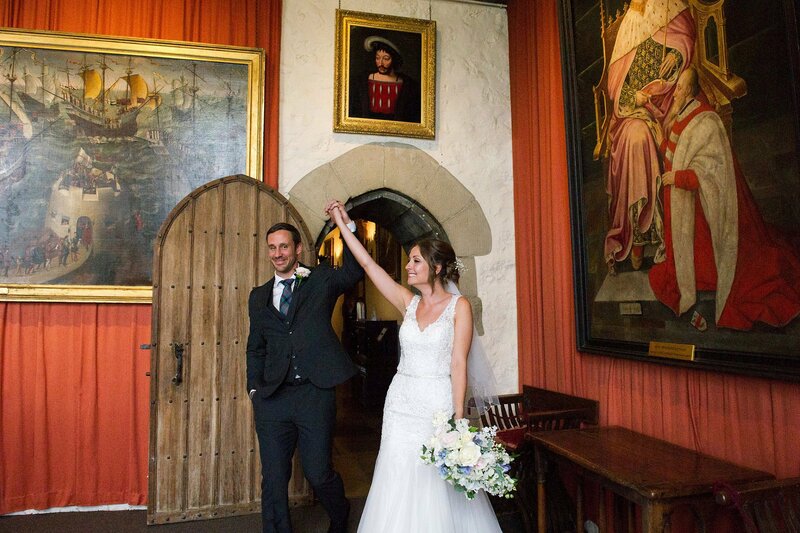 And finally, Sarah and Brady entered the Henry VIII Banqueting Hall to loud applause, arms held high. 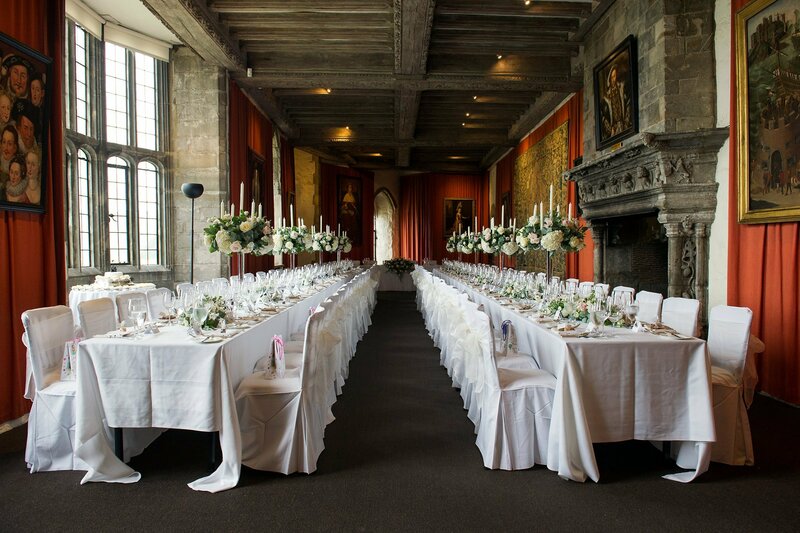 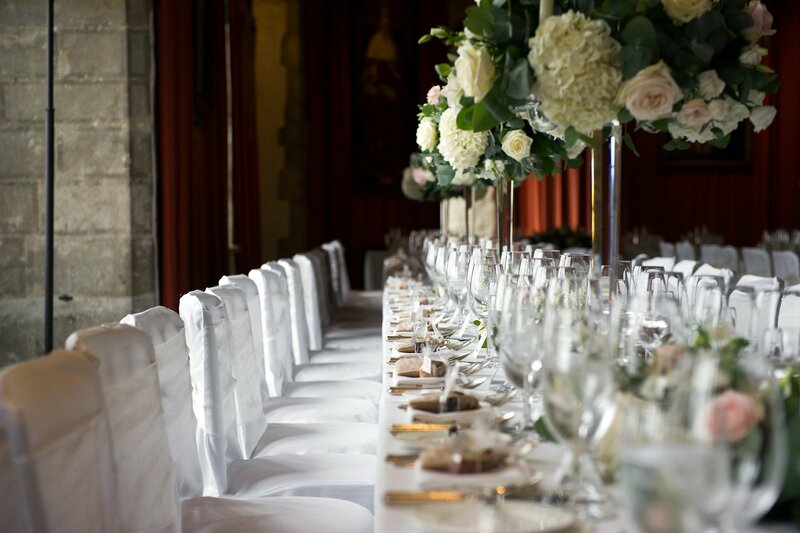 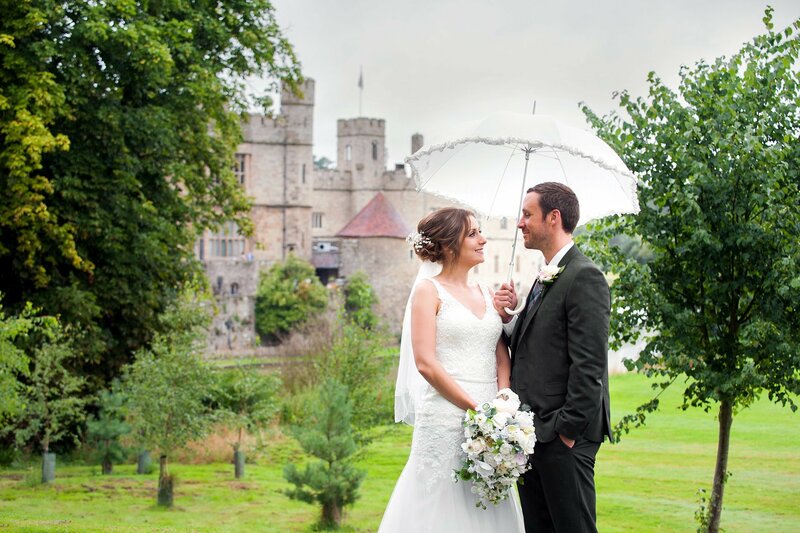 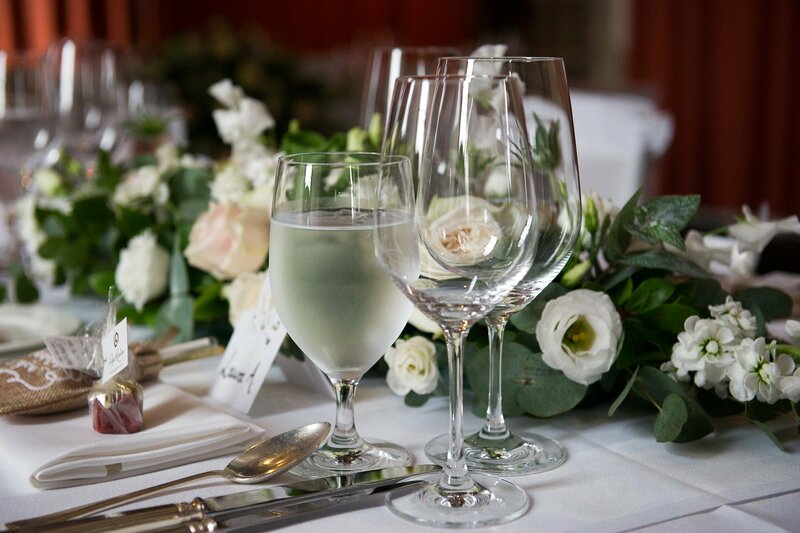 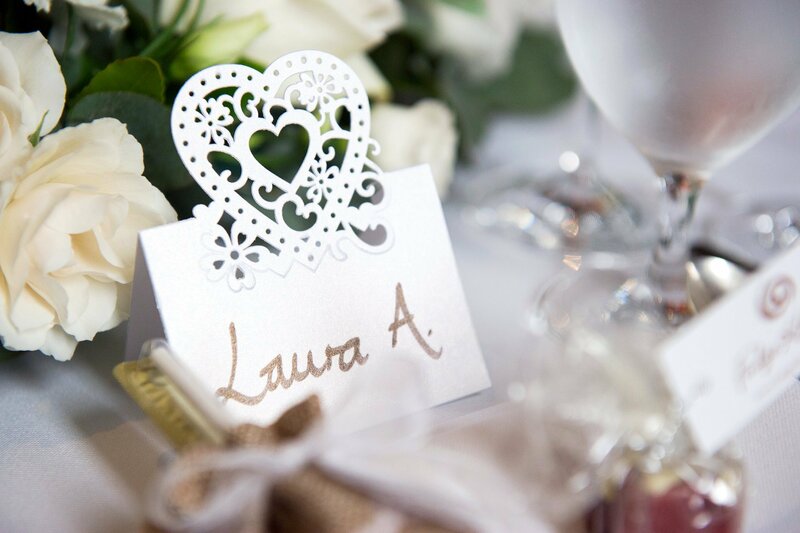 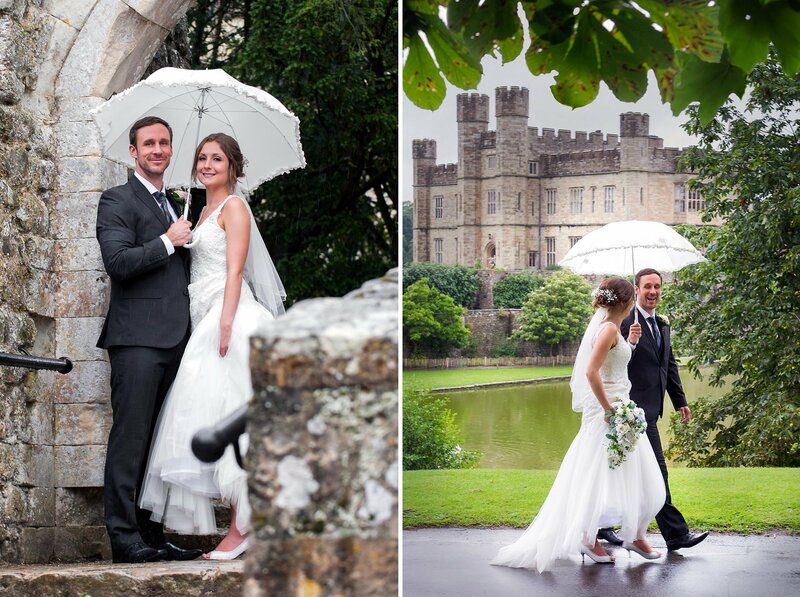 If you are marrying at Leeds Castle at any of their ceremony venues – the Castle, Maiden’s Tower, Fairfax Barn, or Battel Hall – please do get in touch or visit my Leeds Castle page for more information, including pricing. 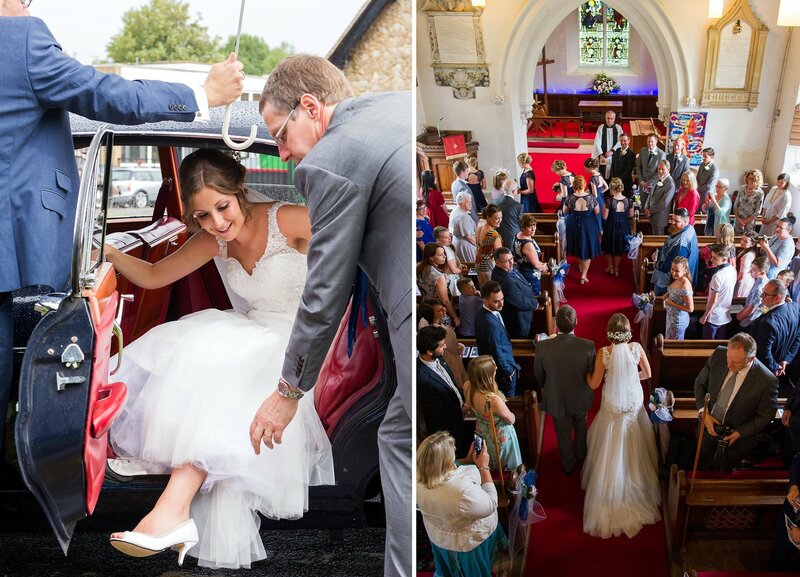 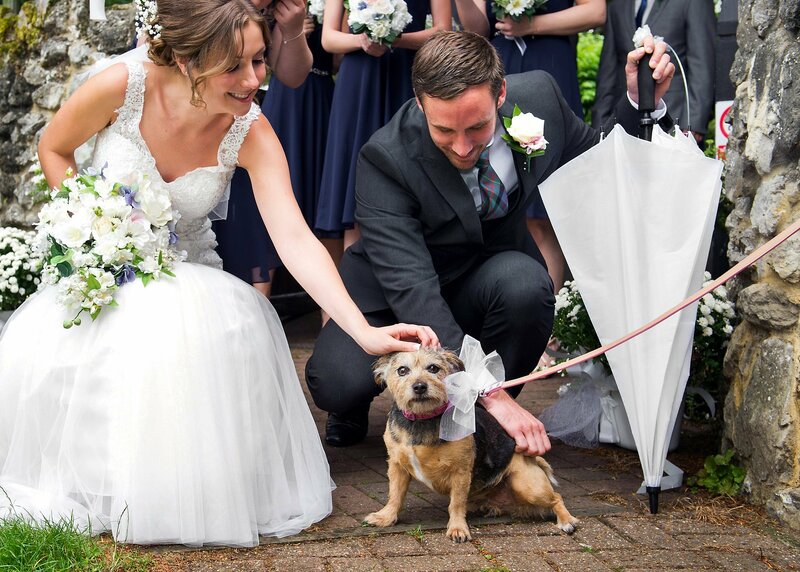 I offer coverage by the hour typically from one to three hours (extended coverage on request) and specialise in small, intimate Kent weddings.